Sharing a “real-life” round up of all my recent work looks to inspire you to mix, match, and style the pieces you already have. 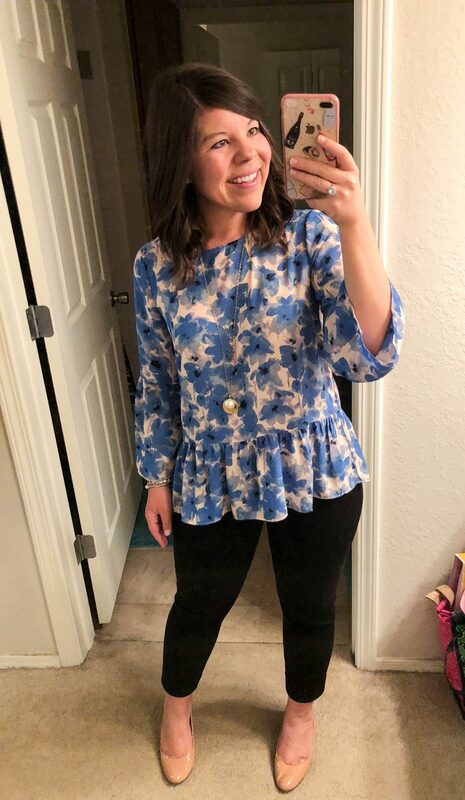 This was far and away one of the most popular series on the blog last month so I am super excited to bring you a new edition of “What I Really Wear to Work!” Since I work in an office from 9-5, five days a week, it’s hard to always have new ideas & inspiration for the office. Putting this series together has actually been SO good for giving me fresh eyes for my closet and I hope that it continues to inspire you as well! PS- These pictures are usually taken as I’m running 5 minutes late and out the door – ha. #RealLife. I work in a business casual office so my looks range from casual to dressed up based on what meetings I have that day. Some of my pieces are new and some have been worn for years so it’s easy to see what has really stood the test of time! 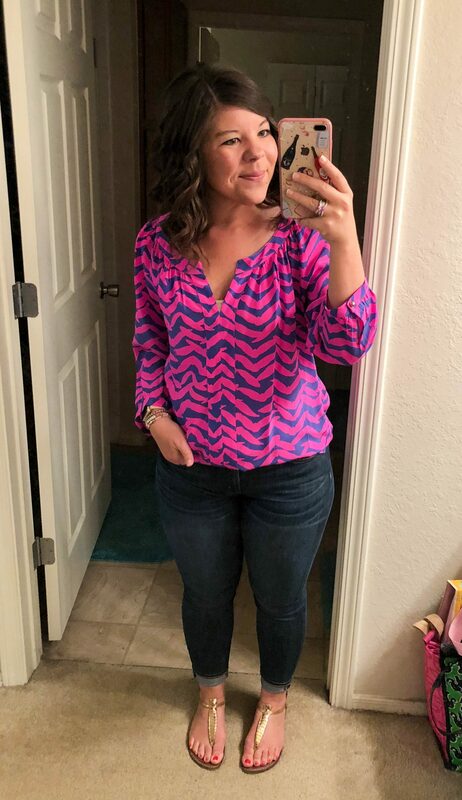 I had a presentation at our Q3 style out and wanted to feel totally confident- consider these pink pants my power suit! These little pugs added such fun to my workweek rotation- and got so many compliments at the office! 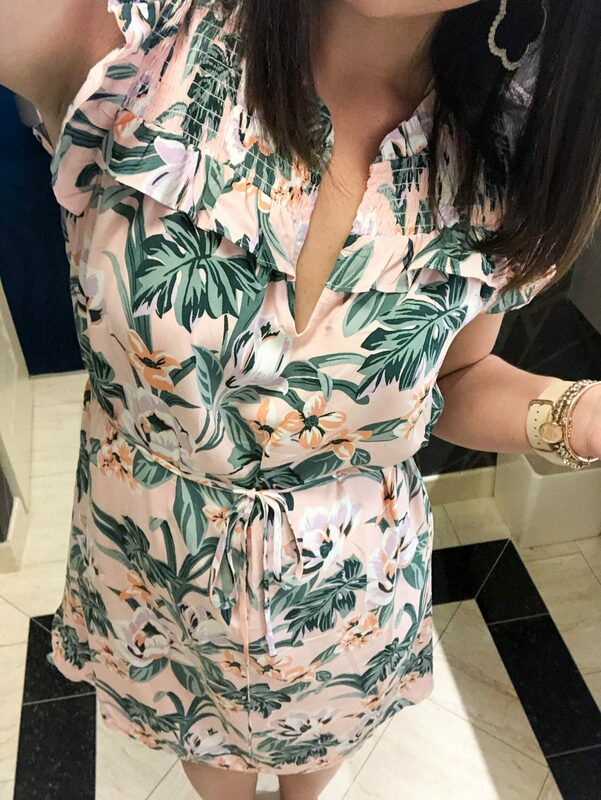 A Friday look that took me from a few team meetings to happy hour at the Getaway. 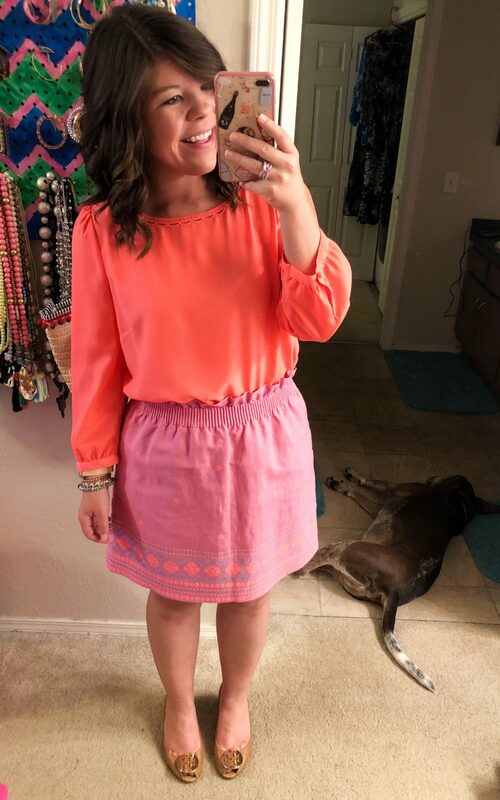 How cute is my little photobomber?? I promise he is alive and well… just perpetually sleepy! 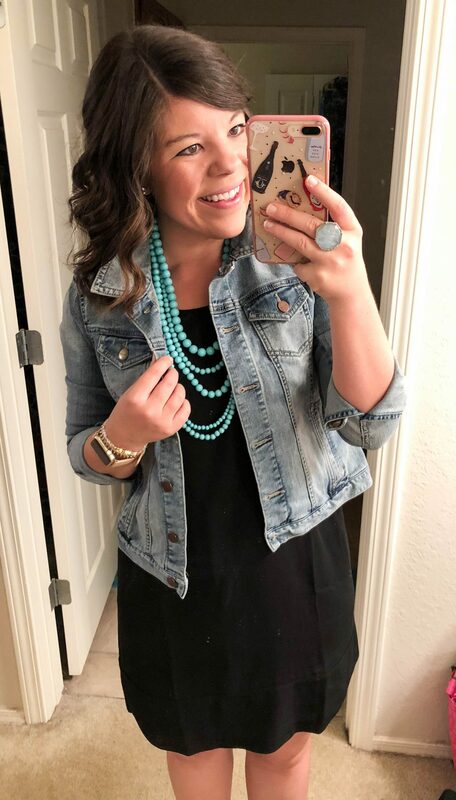 A denim shirt is by far the most worn piece in my closet! I have to stop myself from wearing it more than once a week! 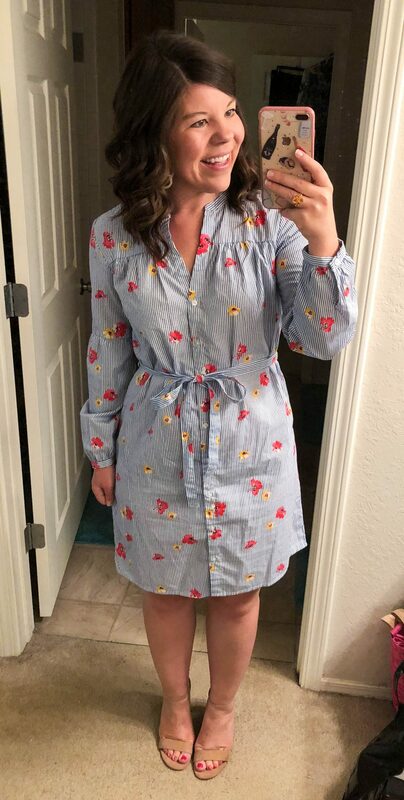 A very casual Friday – no meetings and a whole lot of spreadsheet work called for a comfy dress! A classic shirtdress for a busy day of meetings at the office and even more after. 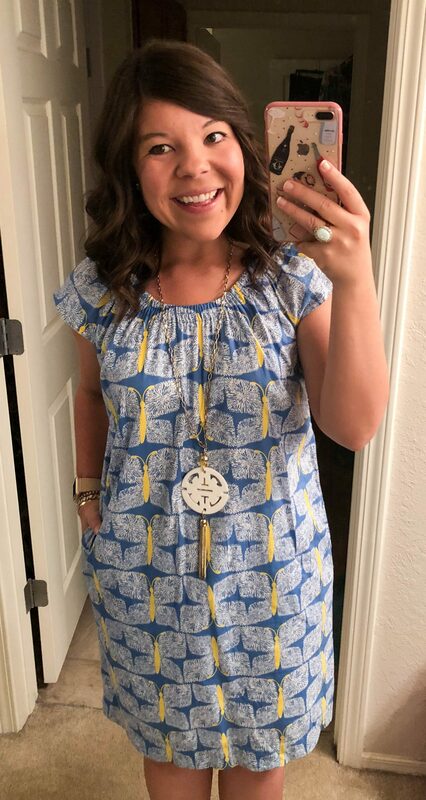 My favorite maxi dress- maybe ever! And judging by the DMs I’ve gotten it’s y’alls favorite too 🙂 Adding a jacket for the office made it appropriate for casual Friday. 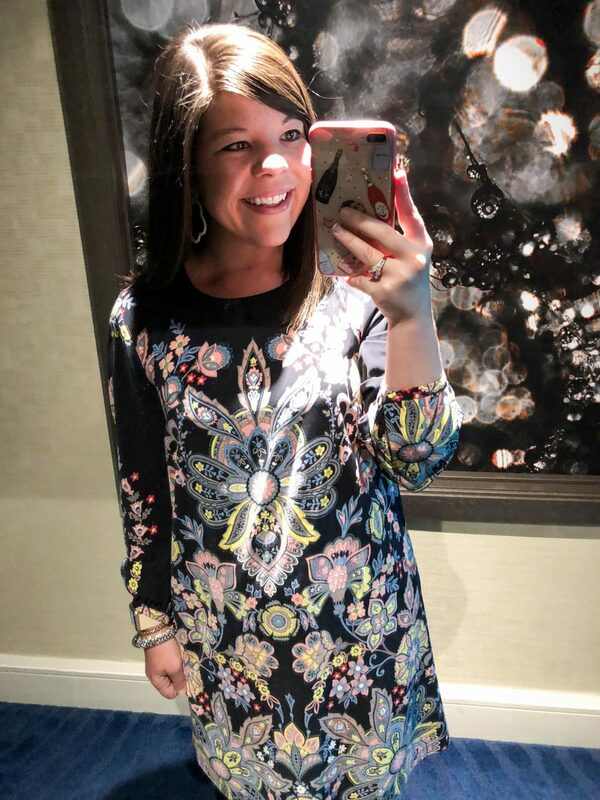 I love dressing up my Lilly for the office- the prints brighten up my workweek! 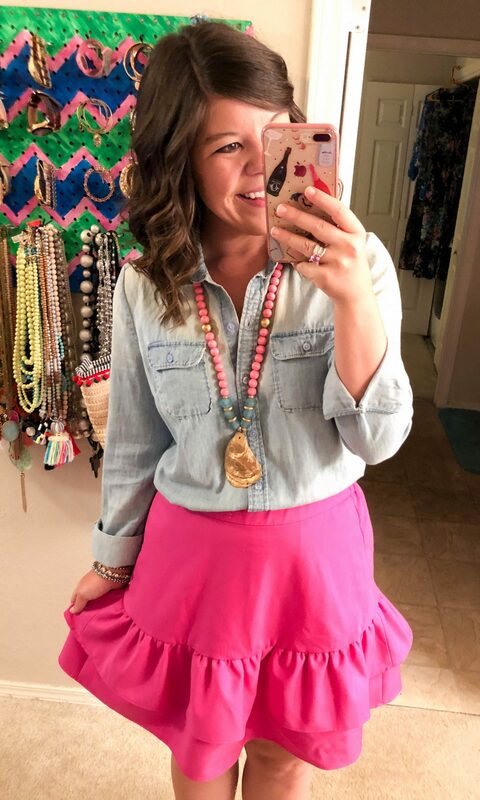 I love a good “pop” necklace – and this gold tassel was perfect for adding a wow to my week. 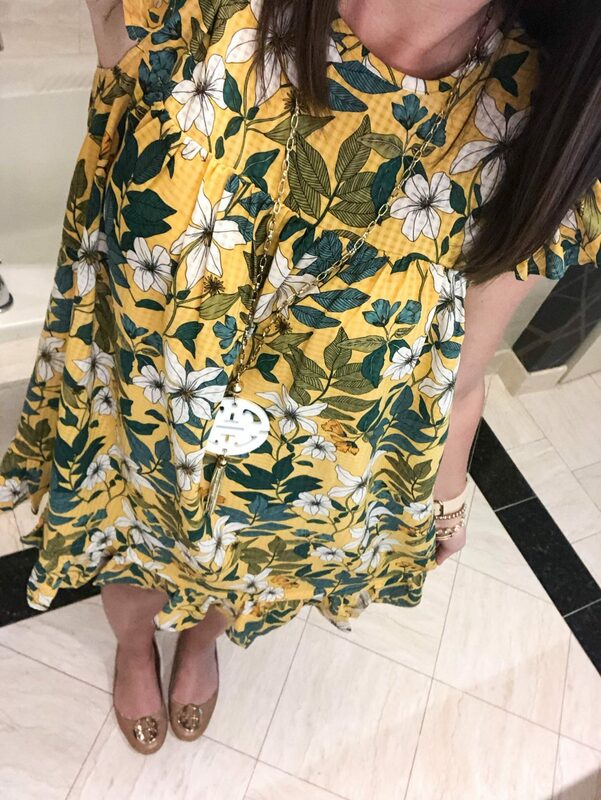 Casual Friday at it’s finest- with Lilly! 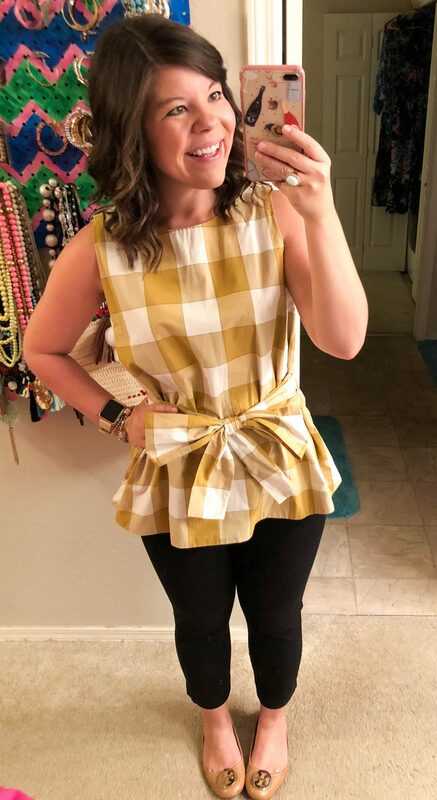 Love this top (You’ll recognize it from my first photo) – it’s a great shape and so easy to wear for work and play! 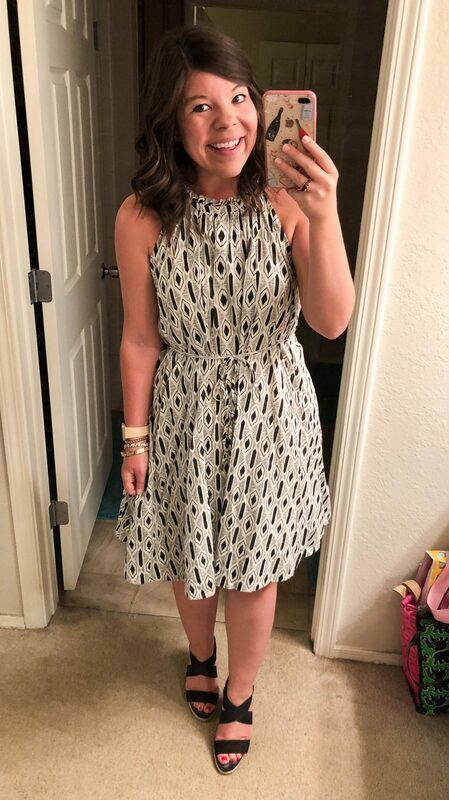 One of the few black and white looks I have in my closet 🙂 This has been one of my favorite dresses for years! My look for Day 1 of appointments in Vegas! My dress for day 2! Day 3! 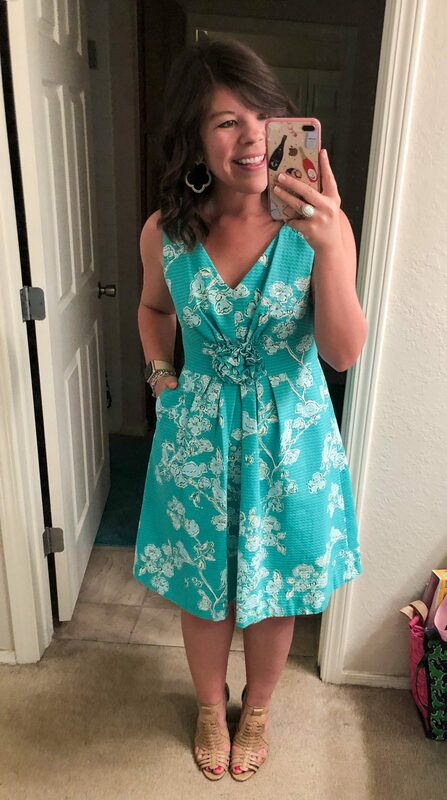 This dress is perfect for summer- so light and breezy! This was what I wore on my flight to Vegas since I had to hop off the plane and go straight to meetings! 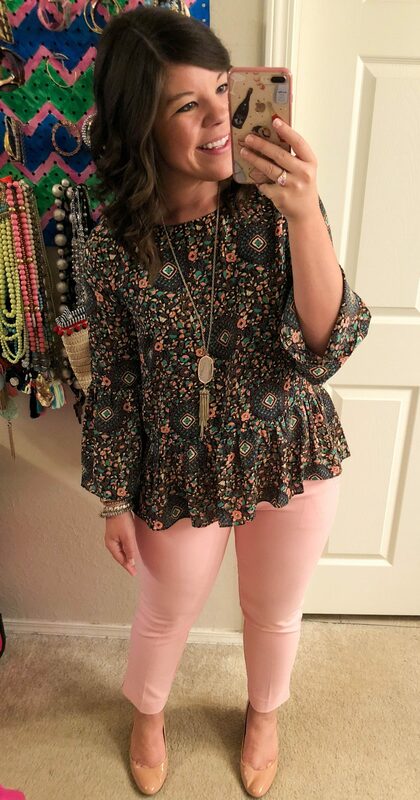 Tell me what you can’t live without in your work week wardrobe in the comments below! Previous Post Let’s Fiesta Monogram Style! I wanted that pug top from LOFT so badly. It sold out really fast! I did get the pj bottoms with the same print though. Time to start stalking eBay for it!! Super cute outfits dear, especially the first one! 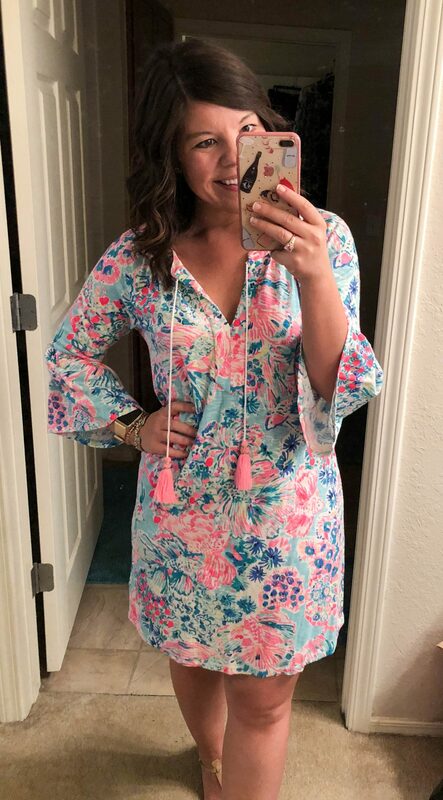 Love your floral maxi dress too.